One of my favorite perks of my job is the ability to view meteor showers, comets and the northern lights from 35,000 feet! Just this past week, I was able to get an awesome view of the Leonid Meteor Shower. 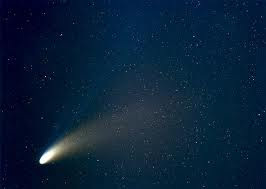 And I will never forget the times I was able to see the Hale-Bopp comet while flying cross-country. 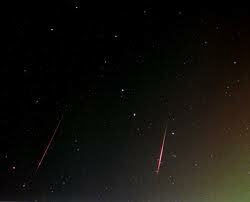 The Leonids are associated with the Tempel-Tuttle comet. They get their name because they appear to radiate from the constellation Leo. 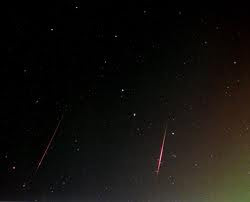 I was working a redeye flight across the country from Los Angeles to Philadelphia the other night and it was prime viewing time for the Leonids. 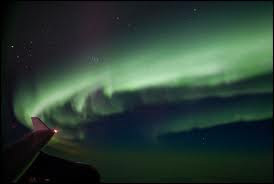 The Northern Lights are another phenomenon that I really enjoy and living in the continental USA, you usually don't get the opportunity to see them that often, but when you are at 35,000 feet at night, you can get glimpses of stuff that folks on the ground might not be aware of! Whenever I am traveling for work and I am flying back at night, I do appreciate it when I have a window seat. Outside of the cool stuff you posted, thunderstorms look pretty cool from afar at 35,000 ft. Photos are borrowed from the internet!